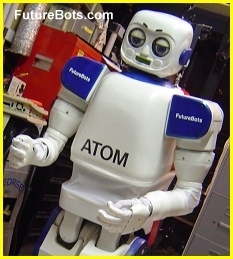 Honda began developing humanoid robots in the 1980s, including several prototypes that preceded ASIMO. It was the company's goal to create a walking robot. ASIMO was unveiled in October 2000. ASIMO stands 130 cm (4 ft 3 in) tall and weighs 54 kg (119 lb). Research conducted by Honda found that the ideal height for a mobility assistant robot was between 120 cm and the height of an average adult, which is conducive to operating door knobs and light switches. ASIMO is powered by a rechargeable 51.8 V lithium-ion battery with an operating time of one hour. ASIMO has the ability to recognize moving objects, postures, gestures, its surrounding environment, sounds and faces, which enables it to interact with humans. The robot can detect the movements of multiple objects by using visual information captured by two camera "eyes" in its head and also determine distance and direction. This feature allows ASIMO to follow or face a person when approached. 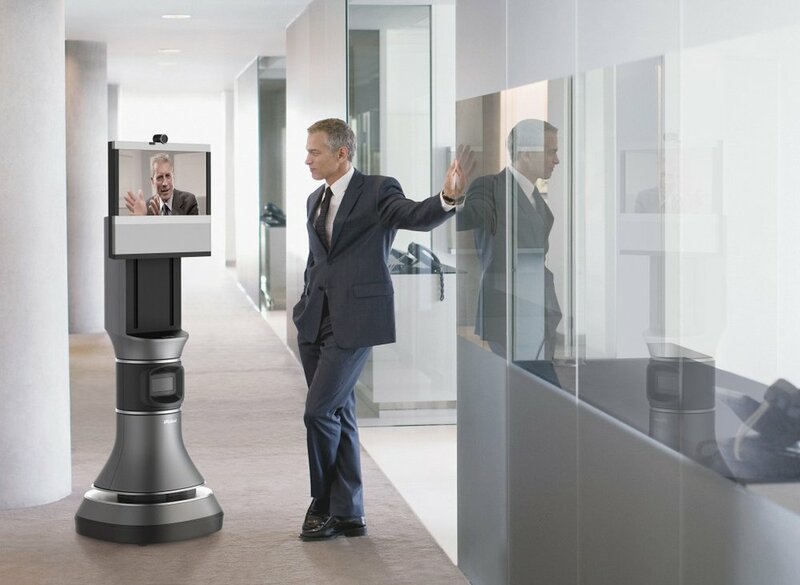 The robot interprets voice commands and human gestures, enabling it to recognize when a handshake is offered or when a person waves or points, and then respond accordingly. ASIMO's ability to distinguish between voices and other sounds allows it to identify its companions. ASIMO is able to respond to its name and recognizes sounds associated with a falling object or collision. 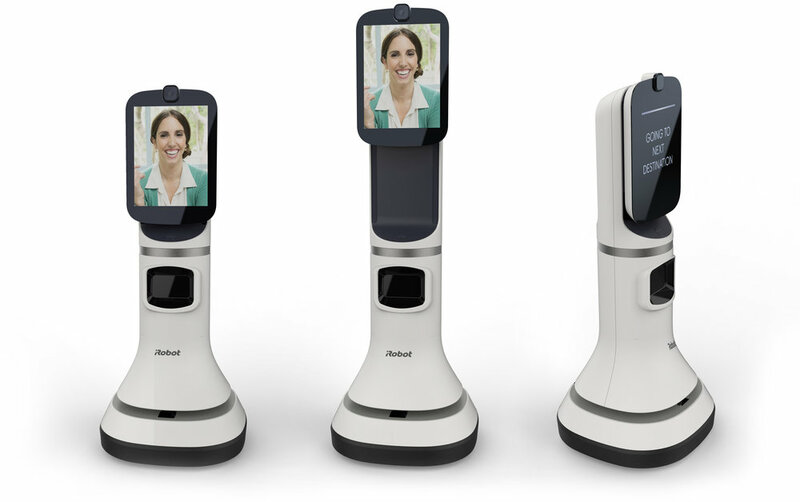 This allows the robot to face a person when spoken to or look towards a sound. ASIMO responds to questions by nodding or providing a verbal answer in different languages and can recognize approximately 10 different faces and address them by name. There are sensors that assist in autonomous navigation. The two cameras inside the head are used as a visual sensor to detect obstacles. The lower portion of the torso has ground sensor which comprises one laser sensor and one infrared sensor. The laser sensor is used to detect ground surface. The infrared sensor with automatic shutter adjustment based on brightness is used to detect pairs of floor markings to confirm the navigable paths of the planned map. 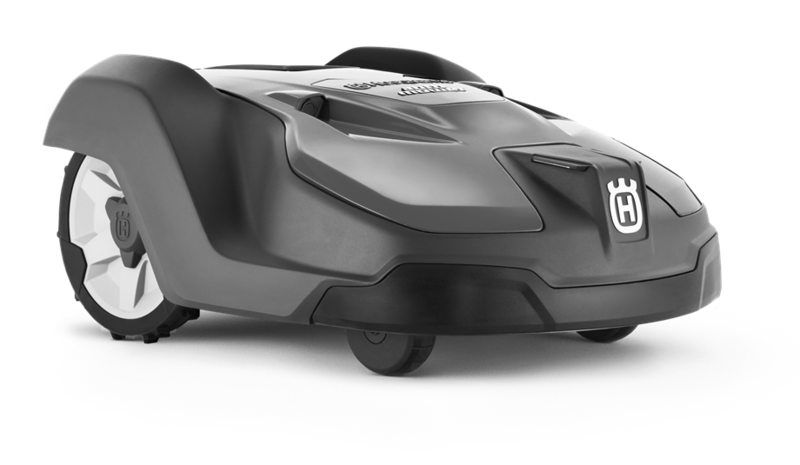 The pre-loaded map and the detection of floor markings help the robot to precisely identify its present location and continuously adjust its position. There are front and rear ultrasonic sensors to sense the obstacles. The front sensor is located at the lower portion of the torso together with the ground sensor. The rear sensor is located at the bottom of the backpack. Robots Of London are world leaders in developing software for robots and offering robots for hire. Robots Of London also sell both Pepper & Nao robots. If you would like to buy Nao Robot or buy pepper robot please contact us. You don’t get anywhere in business by standing still. We understand that, which is why we have put 25 years of experience to good use and developed the next step in robotic milking. We are excited to announce the release of the Lely Astronaut A5 milking robot. We looked at cows and we listened to customers. While sticking to proven practices, we have redesigned every bit of the Astronaut A4 system. The new milking robot is cow-friendly, energy-friendly and user-friendly with new features under the hood that focus on aspects such as reliability, ease of use and accessibility. Being able to trust your robotic milking system fully is what you expect and deserve. The Astronaut A5 comprises 25 years’ intensive engineering and the experience of more than four million carefully monitored milkings per day. Its design has a focus on uptime, fast maintenance and steady performance. And don’t worry, all of these high-quality components and details have been put through our most intensive testing program, ever. Don’t spend one-third of your working life on a repetitive task like milking when you can automate it. The physical relief, time-savings and greater flexibility will give you the opportunity to focus on the more important things, like herd health, improved management and, of course, family life. Atlas is a bipedal humanoid Robot primarily developed by the American robotics company Boston Dynamics. The new version of Atlas is designed to operate both outdoors and inside buildings. It is specialized for mobile manipulation and is very adept at walking over a wide range of terrain, including snow. It is electrically powered and hydraulically actuated. Leveraging a deep technical heritage from iRobot, Ava Robotics designs and builds autonomous robots that comfortably coexist with humans in workplaces and other large spaces. 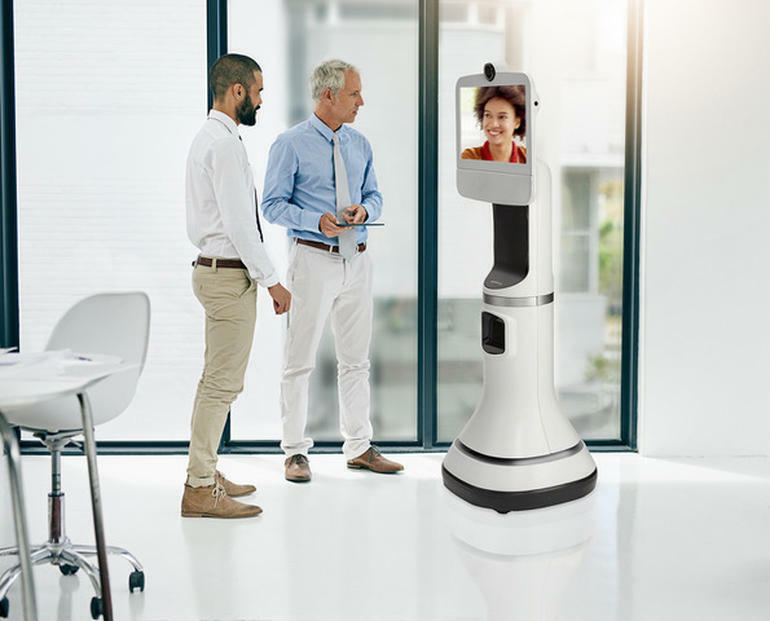 Ava Robotics is transforming what it means to collaborate by combining autonomous mobility with Cisco's high definition video conferencing. Ava Robotics’ engineers are developing these products based on what we call “practical teleportation”, enabling workers to easily and safely move around a remote location as if they are physically there.